Why Your Washing Machine Smells! Back when the front load washers were just first coming out on the market, I was so thrilled to be getting a new set. I had dreamed of the day when I no longer needed to make a trip to the laundry mat or to use the cleaners for my larger items. Then, the day came and I gladly handed over the cash for my two new beauties. Little did I know, at the time, that I was about to embark upon one of the most challenging household problems that I had yet to encounter – the dreaded front loader stink! Well, it’s Spring time again. Yes! I love Spring and always look forward to the end of Winter. However, with the wonderful weather comes the dreaded Spring cleaning list. Fortunately, the warm temperatures helps to put people in the mood to tackle those neglected areas of the home. To make things easier, I am including part of my Spring cleaning list to help you get started. 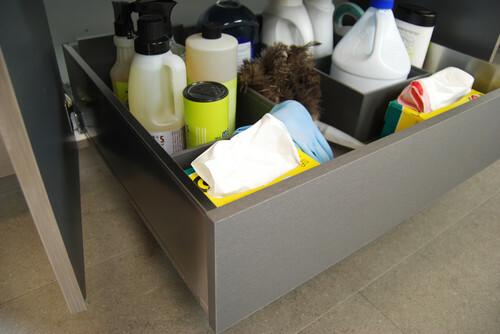 Having a good place to store all of those cleaning supplies can help to tidy things up and make cleaning easier. It can be aggravating to riffle through containers looking for a particular item. Then, once you find the right cleaning product, you have to then locate the broom or mop or some other needed item. 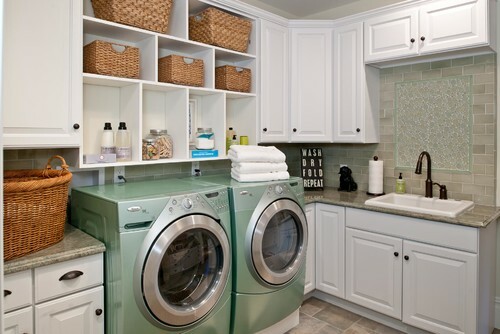 But with these ideas for cleaning supplies’ storage, everything that you need can be kept in one neat space. I haven’t shared a favorite thing with my viewers in quite awhile, and I wanted to get back to doing that. After contemplating which “favorite thing” to present (there are so many that I have), I finally decided to bring one of my favorite cleaning tools to you. So, I am featuring the McCulloch hand held steam cleaner.